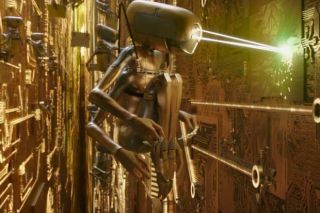 A scene from the 2017 science fiction film "Valerian and the City of a Thousand Planets." The 'final' trailer for Luc Besson's "Valerian and the City of a Thousand Planets" has emerged. Based on the French comic book title "Valérian and Laureline"by Pierre Christin and Jean-Claude Mézières, the live-action films stars Dane DeHaan and Cara Delevingne. "Valerian and the City of a Thousand Planets" opens in North American theaters July 21. Originally published on Newsarama, a sister site to Space.com.